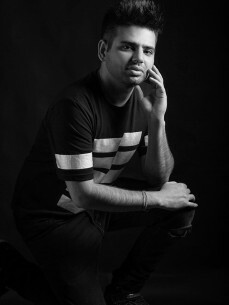 One of the most talented dance music producer's in India and the only Indian to have graced the Beatport Top 100 (Electro House) charts, twice; Sartek is a force to reckon with. Being a Chartered Accountancy finalist, Sartek never thought he would see such a major shift in his career. After his debut track gained global fame and was signed by one the Biggest Dance Music Labels in the world; gigs started pouring in from across the country. He started his career opening for legends like Rank1, First State, Max Vangelli and soon moved to the bigger ball game playing opening slots for dance music stalwarts - Armin Van Buuren, Martin Garrix, Axwell ^ Ingrosso, Nicky Romero and Steve Aoki. His debut track 'Apocalypse' ; released on Tiesto's imprint Magik Muzik (Black Hole Recordings) and was supported by Myon & Shane54, First State, Marcus Schossow, Above & Beyond's Anjunabeats Worldwide, Mark Eteson and Bart Claessen. It was also voted the track of the week on legendary British producer Andy Duguid's Radioshow After Dark Sessions. In 2014, Sartek's Dopamine (Guru Records) received massive support from David Guetta; with 3 plays on his radioshow. It was also endorsed by Sander Van Doorn, Deniz Koyu, Chuckie, Bassjackers, Lucky Date, Gregori Klosman, Sebastien Bennet and many more in their radioshows. 2015 started with a bang. Sartek became the first Indian to be signed by Cloud9 Music which is home to record labels- Revealed and Armada. Shortly after, Backed Up, a track given out as a Free Download to all his fans for their loyalty and support; gained the support of World No. 1 Dj - Hardwell ; who dropped it across his radioshow and live-sets in the month of March. Next came the future house wonder - Back To The Future; premiered by David Guetta on his radioshow and quickly escalating to No. 51 on the Beatport Top 100 EH. 2015 ended with a bang with his masterpiece collaboration with Lucky Date “Don’t Need Love” which got released on Hardwell’s imprint Revealed Recordings. Sartek is till date the first and only Indian artist to release on this giant dance label.